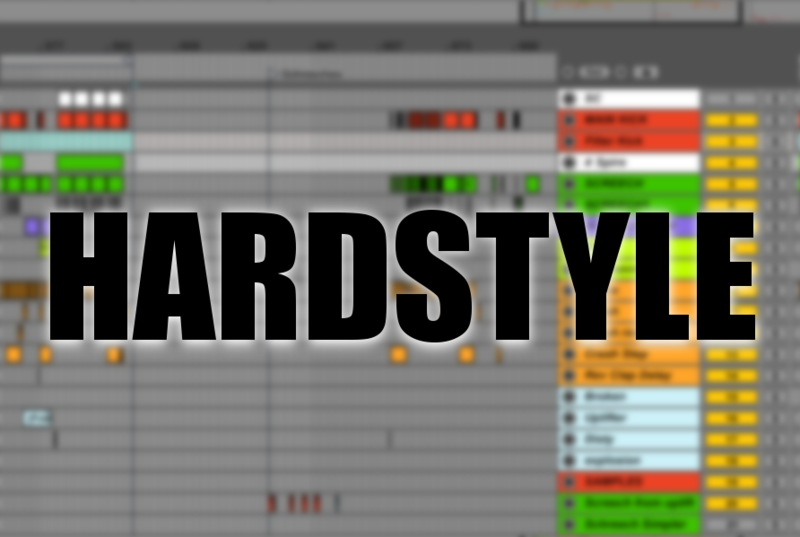 Hardstyle samples give you an opportunity to create full tracks just in minutes. This is good not only for less experienced users but also for Hardstyle music creators with years of experience in business. Some people also start by downloading entire Ableton Hardstyle project or an FLP file. But I wouldn’t recommend this way unless you change everything there or just mess around the presets and end up creating something new from scratch. Using music templates narrows the field for your creativity. Of course, sometimes an idea for Harrdstyle track comes to you directly and you don’t have to worry about beginnings. The key is the drum line. Many people underestimate the importance of interesting sound of drums here since it should just make your metronome. They are wrong! Creating good sounding Hardstyle drum line should be your first thing after opening your DAW, setting a new project. Remember to match the key of drums with the rest of the tune! The main melody, called the lead should be what you focus on the most. Along with bassline, which you should never create separately, main hardstyle melody is the most important part. Hardstyle samples come often in pairs: bass and melody. Midintro – this is where the kicks come into play. Here you will also put first screeches and some vocals too. Break – the most important part of your tune. This will become your Producer’s signature for the tune. This part is often divided into two parts, each having its own melody (Again, don’t you ever try to mess up with the key!). You can also use a plucky piano or pads here. Climax – Here lies the hardest part of Hardstyle track. This is the… climax. Can’t name it different way. Your mission is to take your audience and force them to jump, dance and scream. Quite a difficult mission, but if successful, it makes you proud of your tune and the DJ’s eager to play it. Here is a very common composition of a Hardstyle track. Hardstyle samples mostly are prepared to support this kind of composition. As you move on your Hardstyle producer journey, you will discover things like Anti-climax and a bit altered tune structures. This all is to add some diversity for Hardstyle productions. Also this article is a cause of my hearache lately this days after listening to this tune. There is also a very useful link for you, about the Hardstyle music production. It is a Long Guide To Hardstyle which will surely give you more details than I did. Where to get Hardstyle samples? Here you will find a nice set of Hardstyle kicks. If you are after building melodies, here is a pack of Hardstyle Midis. Last, but not least, here is Hardstyle FX sample pack. I hope your Hardstyle productions will improve thanks to this short tutorial. Let me know in comments, if this was helpful!